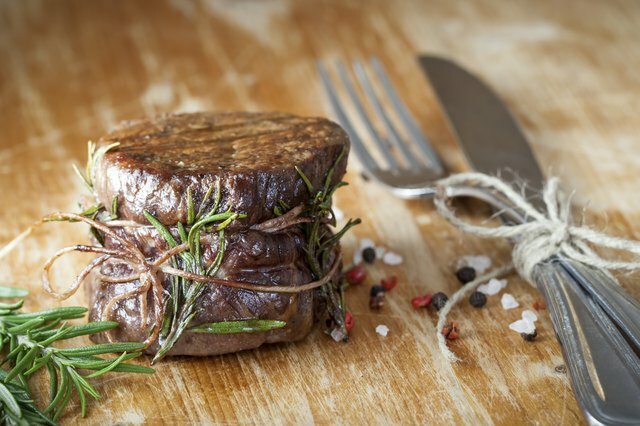 What's the Difference Between Beef Tenderloin & Filet Mignon? 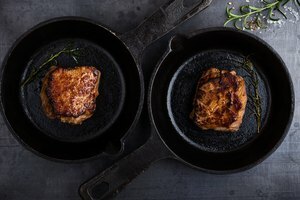 You may have heard people refer to beef tenderloin and its steak cousin filet mignon, but what's the difference between these terms? 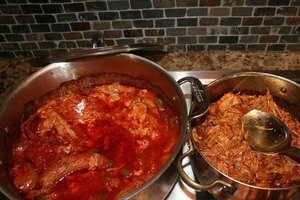 While they're both the same piece of meat, you can look to the cut and preparation to find the difference between the two. A classic filet mignon measures just 1-inch in diameter because it's typically cut from the smallest end of the tenderloin. Although, in most markets and restaurants steaks cut from the tenderloin that measure 1- to 2-inches thick and 2- to 3-inches in diameter still bear the name filet mignon. You may also find these thicker, larger cuts labels as tenderloin steak. Tournedos and medallions are other names for filet mignon. The term beef tenderloin refers to the whole muscle, which weighs, on average, five pounds. 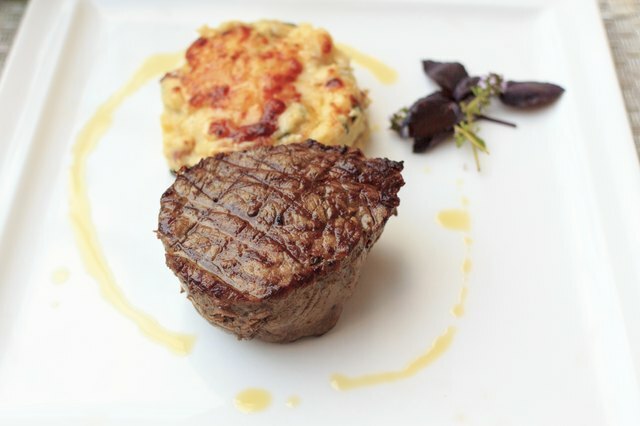 Tenderloin cooked in smaller sections that serve two or more people may be called chateaubriand or filet de boeuf. The tenderloin's tenderness makes it a sought-after cut. 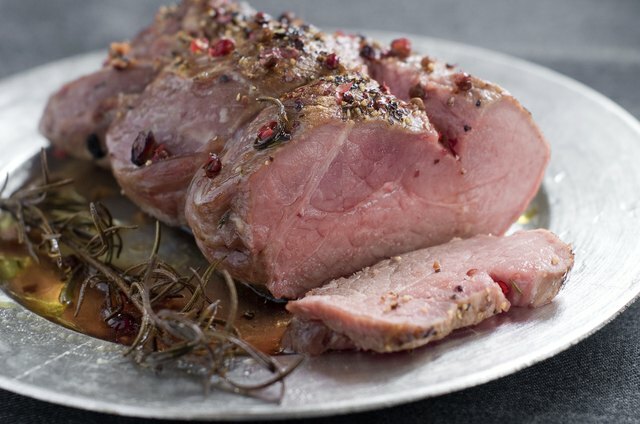 A classic preparation for a whole beef tenderloin involves crusting it in herbs and spices, searing it in hot oil and then roasting it in a 375-degree Fahrenheit oven. 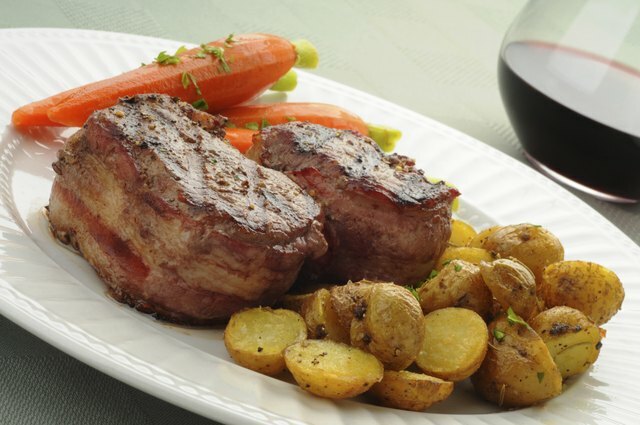 Filet mignon are often wrapped in bacon and seasoned liberally before being seared over high heat and finished in the oven. The mild-flavored steaks pair well with classic French sauces, such as bordelaise or bearnaise. 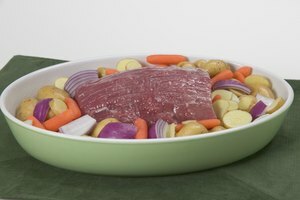 If you're hosting a large dinner party, roasting a whole tenderloin is simpler than preparing individual filet mignons. The tenderloin makes a dramatic presentation that's easy to carve and, because of its juiciness, requires no sauce. 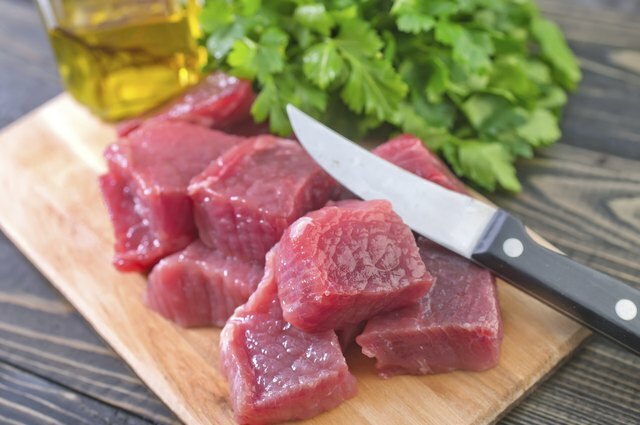 A low-fat content means filet mignon cook quickly and are prone to drying out. It's best to reserve these at small, intimate dinners so you can monitor the steaks carefully and avoid overcooking. What Is an English Roast? 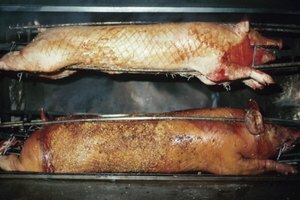 What Meats Can Be Cooked in a Rotisserie Oven?